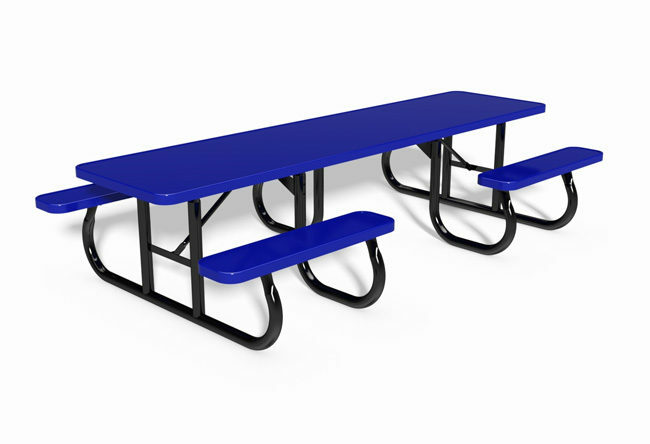 Our 10' expanded steel ADA table offers maxinum seating capacity for large groups. Two 3 1/2' benches and one 10' bench allows seating for 9 people, while the cut-out table top allows a wheelchair center access. Top Height 30" Bench Height 18"